Personalised I Love One Direction White Mugs. Add a name as per the image and make the One Direction fans day! A perfect gift for a One Direction fan. The mug comes in its own box and the text is printed on both sides of the mug. 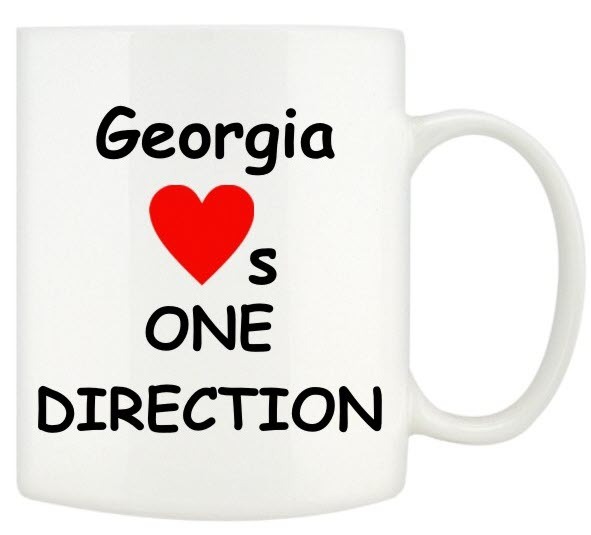 See our other One Direction Mugs plus our One Direction T-shirts and Hoodies too! !